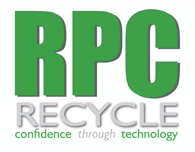 RPC Recycle, are one of the UK’s most popular recycling sites, have sent out a recent message to urge people who have recently upgraded or bought a new handset to recycle their old ones for the best prices. RPC Recycle who are based in Staffordshire offers cash payments for a wide range of different mobile models. Their main aim is too offer their customers the best prices possible for their unwanted handsets. They will also consider buying old handsets that are faulty or no longer work. Currently RPC Recycle offers cheque or Paypal payments for old mobile phones but in the near future will also offers BACS payments.